Help your future military tenants with the PCS process by understanding their challenges and setting them up for a great stay at their new duty station. 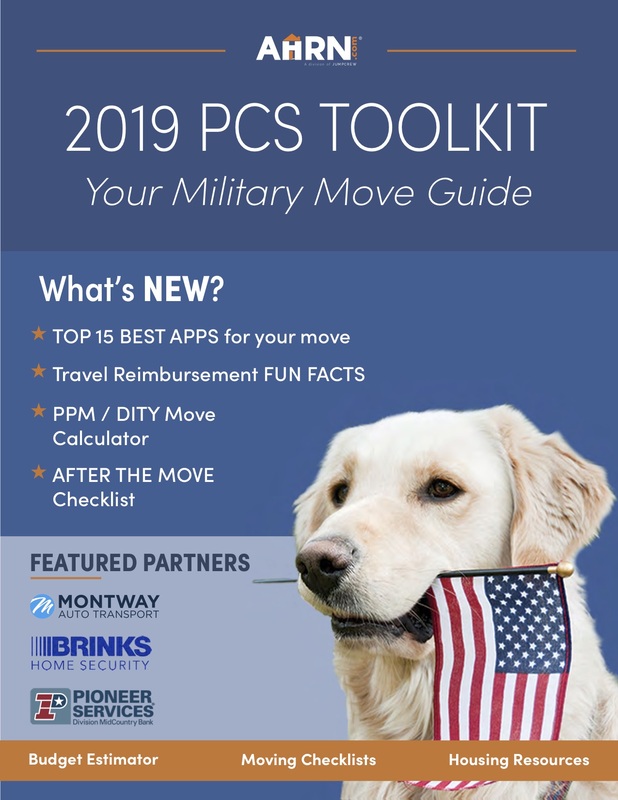 A Permanent Change of Station (PCS) move is the official term for the relocation of an active duty military service member and their family to a different duty location. Listing your home on AHRN.com is the first step to helping the military with one of their most concerning items, finding a new home. Aside from providing a much-needed home for military families, it’s also important for landlords/property managers to understand your potential tenant’s PCS timeline. For military families, PCSing is an extensive and time-consuming process. Many don’t have the time or convenience to learn about their new community prior to moving, keep in mind that some might be moving clear across the country or from another country. Their knowledge regarding the new station may be very limited. Start your relationship on the right foot by understanding the PCS process and the military member experience. Your expertise on the local community can be invaluable to military members unfamiliar with the area. They will surely appreciate it! Military members can receive their orders for a PCS at any point in time. The orders specify the military members next assignment and when they must report at their new duty station. The lead time for PCSing to a new duty station can range from just a few weeks up to 6-months. These orders are what starts the PCS process and connects your potential tenant to your location. It’s not uncommon for property managers or landlords to request a copy for their records. Also, property managers and landlords catering to military families should always have a military clause that typically utilizes orders to modify a lease. Remember, the SCRA provides military members with certain rights upon receiving PCS orders so it’s a good idea to be familiar with SCRA requirements. As soon as a family reports to the new duty station, they start in-processing. Depending on a family’s preference and availability of housing, they could choose to live in temporary lodging before they move into permanent housing. The time spent in temporary housing depends on a number of factors, including; how quick they had to report to the new duty station, how far away their gaining installation is compared to where they came from, etc. During this transition time, which can last from one week to one month, the military member is becoming familiar with the area and the businesses/services available. To help families ease into life at their new location, create a move-in packet. Vicinity map with stores and restaurants. Add some of your favorite spots that way your tenants can enjoy some of your go-to locations. Installation lending closet information. During the transition families might not have some of their basic necessities yet. The installation lending closet is a good resource to borrow simple items like pots, pans, etc. before their household goods arrive. Traffic insight and recommended route to installation, especially if your property is off the installation. Nearest parks and attractions, so families can enjoy weekends and plan for any short trips that they wouldn’t otherwise know about. Having a resource like this can enhance your property manager/landlord and tenant relationship, setting both sides up for smooth communication moving forward. With the power of military community word of mouth, it also helps to ensure that your tenants will encourage future new arrivals to consider your properties!